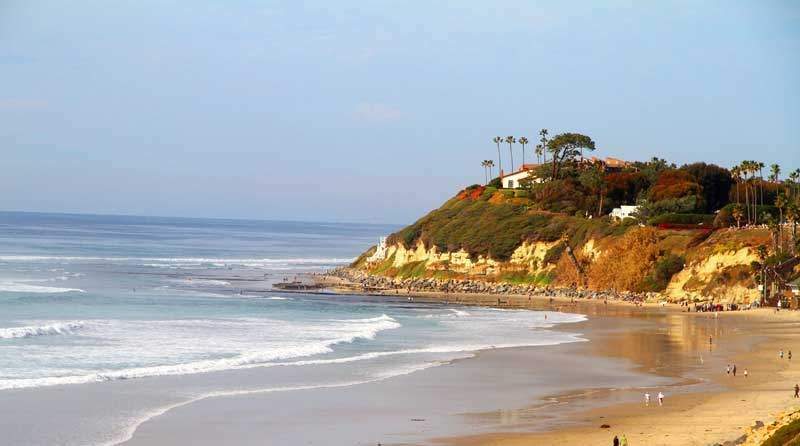 Cardiff-by-the-Sea – often simply referred to as Cardiff – has two miles of pristine coastline, beautiful cliffs, some of the best sunsets in North County San Diego and, unlike other Encinitas neighborhoods, its own zip code. Residents here enjoy great weather every month of the year, several annual community events and all of the benefits of living by the sea, and they are dedicated to preserving both their quality of life and the natural beauty that makes Cardiff such a fantastic place to live. After the Mission Era and the division of land into ranchos, the area that would later become Cardiff-by-the-Sea was cultivated into farmland by Hector MacKinnon who brought his family here from Cleveland in 1875. Hector and his wife, Sarah, grew corn and barley and raised cows and chickens on the land. In 1910, a painter from Boston named J. Frank Cullen moved to San Diego and saw Cardiff’s potential to be developed as a coastal retreat for other folks headed west. Cullen purchased the land from MacKinnon and began selling plots of land for as little as $30. It is told that Cullen initially wanted to give his little town a Spanish name but was persuaded by his Cardiff-born wife to name the area after her hometown in Wales. In 1912, Clarence Cole established a kelp works along the bluffs of San Elijo Lagoon, which provided the area with an industry other than farming. This same year, Cullen built an ocean pier and a hotel overlooking the ocean. This was followed by the establishment of the Cardiff School District in 1913, the first Cardiff library opening in 1914, and the addition of a post office and train station in the 1920s. Cardiff-by-the-Sea is a coastal community with beachfront homes, ocean view homes and inland properties that are just a short drive from the beach. There is a mix of housing styles in the area, including condominiums that start at around $360,000 and detached, single-family homes starting at around $500,000. While there are some properties available for less than $1,000,000, most homes on the market at the time of this writing were between $1,000,000 and $2,000,000 with a few listed at an asking price of more than $3,000,000. According to CardiffbytheSea-realestate.com, the average listing price for a three-bedroom, detached home in Cardiff is $1,344,000, and the average listing price for a four-bedroom, detached home in Cardiff is $1,824,000. There are plenty of custom homes to be had in Cardiff, but this is a small neighborhood, so there may not be a huge variety of homes on the market at any given time. Because of this, if you are looking for a home in Cardiff-by-the-Sea, it is best to begin looking as early as possible. Some of the most popular eateries in the area include Pipes Café, East Coast Pizza, V.G. Donut & Bakery, Seaside Market, Pacific Coast Grill, El Pueblo, Bull Taco, Cardiff Beach Bar at Tower 13, Yogi’s Sports Bar and Kraken Bar. Cardiff residents are also within just a short drive of all of the shopping and dining offerings of downtown Encinitas and Carlsbad. If you are looking for a great place to camp on the beach in North County and be within walking distance of dining and shopping, Cardiff is the perfect spot for your next weekend getaway. San Elijo State Beach and the campground are located on South Highway 101 within walking distance of Cardiff Towne Center, which means you can wake up to the sounds of the waves crashing on the shore, and then take a little stroll to Starbucks before partaking in some early morning window shopping. 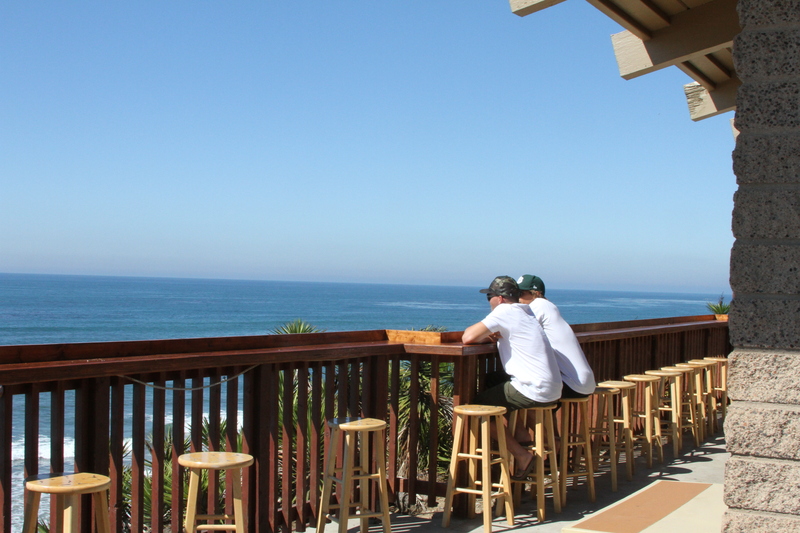 The campgrounds at San Elijo State Beach are on the bluffs overlooking the beach below, and near the entrance you will find a camp store, snack bar and the Eli Howard Surf School, which offers surf camps, weekend surf schools, surf lessons and surf rentals. Within the campground, there are laundry facilities, dock access, Wi-Fi, bathrooms with showers, fire rings, a bilge pump station and a ranger station. North of the campground is where you will find Pipes – a popular swimming and surfing spot, and the popular surfing spot, Cardiff Reef, is just south of the campground. Another popular spot, George’s, is located across Highway 101 from Restaurant Row. Just south of San Elijo State Beach is Cardiff State Beach, which does not have the same level of amenities, but is another beautiful beach for surfing, beachcombing or hiking in the sand. This is also where you will find the very cool Cardiff Beach Tide Pools, if you happen to be around at low tide. There is also the San Elijo Lagoon, which is a coastal wetland area that is part of the San Elijo Lagoon Ecological Reserve. 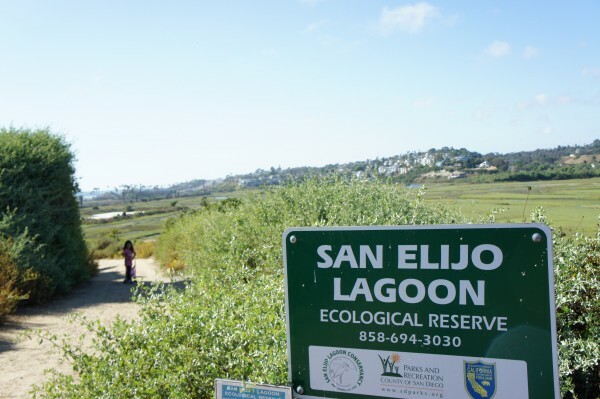 To help protect this area, the best way to enjoy it is to learn about the area at the San Elijo Lagoon Nature Center, and enjoy the views from the three-mile, dog-friendly San Elijo Lagoon Trail. George Berkich Park on Montgomery Avenue. This community space is owned by the Cardiff School District and has a baseball field, soccer field and playground that are open to the public. Also just a few blocks away from the Cardiff State Beach, San Elijo State Beach and Cardiff Towne Center is Glen Park, which is located on Orinda Drive and has a playground, picnic areas with barbecue grills, foot bridges and walking paths, horseshoes, basketball courts and tennis courts – plus some great ocean views. If you are in the downtown area and fancy a morning jog or an evening stroll, you should also check out Carpentier Parkway, which is an organic, sustainable park that funs along the border of downtown and has spectacular views. Cardiff Sports Park, located on Lake Drive and also known as Lake Drive Sports Park, offers baseball fields, soccer fields and picnic tables. Leashed dogs are welcome, and there is a gazebo that can be reserved for special occasions. Once the Encinitas Community Park project is completed, residents and visitors will also be able to enjoy a skate park, dog park, aquatic center and more. 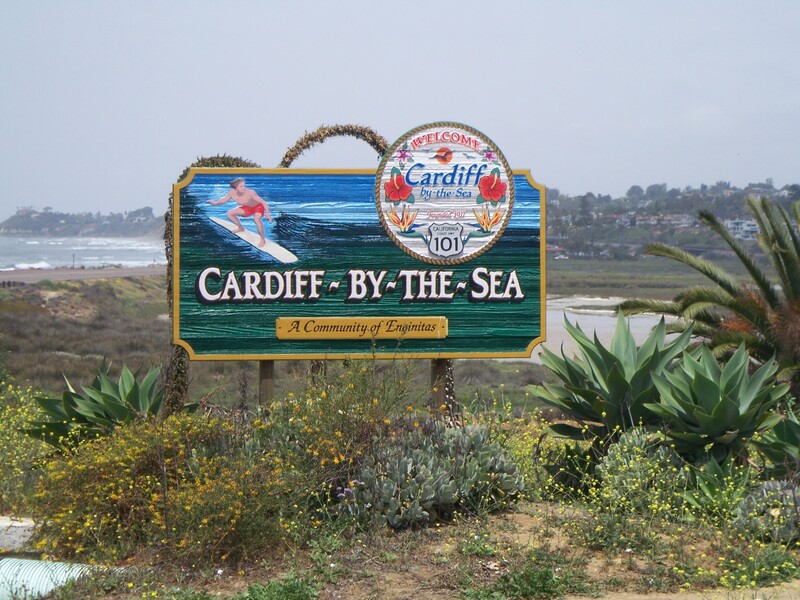 Cardiff-by-the-Sea is bordered by the City of Solana Beach to the south, Old Encinitas to the north, the Pacific Ocean to the west, and New Encinitas and Olivenhain to the east. Cardiff is home to several annual community events, such as Cardiff Dog Days of Summer, Taste of Cardiff and the Cardiff Kook Run. 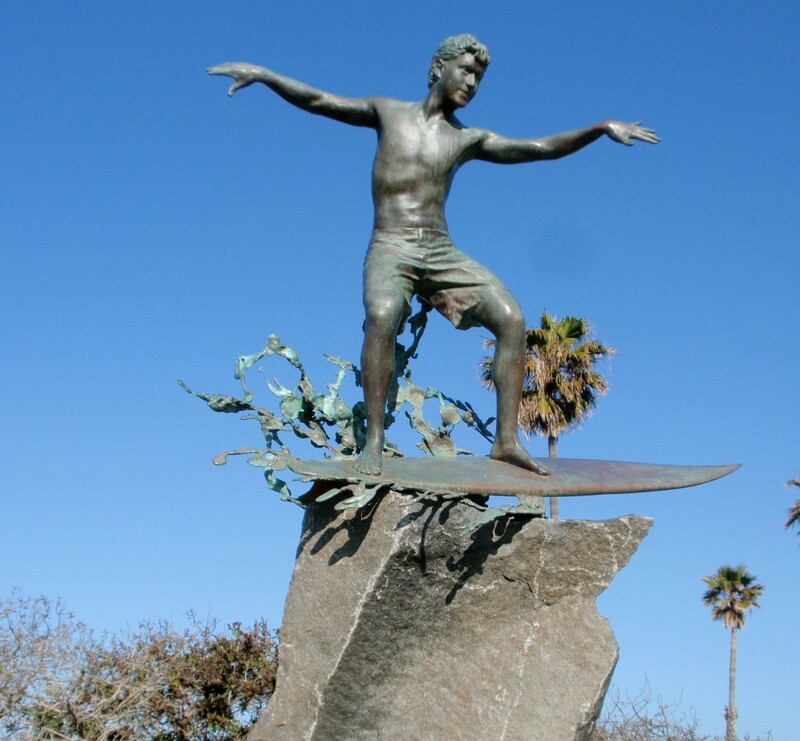 It is also home to exceptional beaches, a wide variety of dining options and some unique finds that bring character to the area, such as the Cardiff Kook, which is a statue commissioned by the Cardiff Botanical Society in 2007 and originally named The Magic Carpet Ride. Locals gave this surfer statue his new name, and you will often find him donning some interesting costumes that mysteriously show up. Photo Attributions: The Cardiff-by-the-Sea sign photo is courtesy of SanDiegoDreamHomes.com. The Cardiff-by-the-Sea beach photo is courtesy of OscarSellsHomes.com The Bull Taco back patio photo is courtesy of BullTaco.com. The Cardiff Kook photo is courtesy of TheCardiffKook.org. The San Elijo Lagoon photo is courtesy of the Coastal Living Family blog at CoastalLivingFamily.com.